Who hates sunscreen? Raise your hands! I hate how sticky it gets, how oily it makes me look, and how hot it makes me feel. But still, I pile it on because, how can you not? Thankfully, the newer ones aren't as bad as 80's Coppertone (hehe). 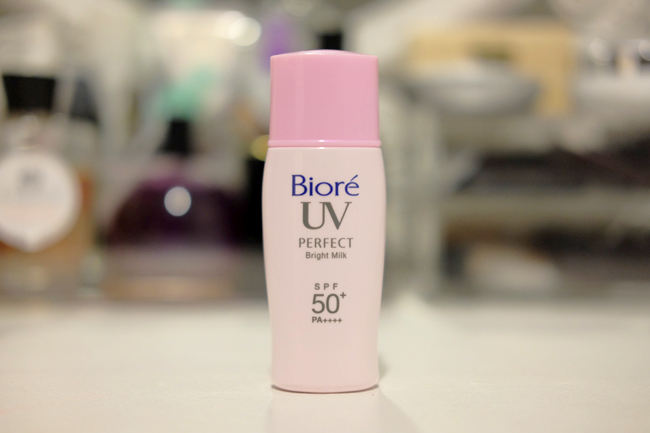 Biore's UV Perfect Bright Milk in SPF50 definitely takes the cake for being THE BEST facial sunscreen in the market today (and that's coming from me, someone who finds fault in everything). This arrived at my doorstep right in time for my Calatagan trip a couple of weeks ago so I decided to bring it along with me. You know facial sunblock confuses me. What's the difference between those that are marketed specifically for the beach or city? From experience, I noticed that the ones for the beach have a higher SPF and thicker consistency while those marketed for the city are thinner with a lower SPF (around 25 usually, is that enough anymore?). But when I applied it, no, no, no. It was too nice to be considered as just a "beach sunblock". First of all, the consistency. It's almost watery which makes it quick and easy to apply evenly. Once applied, it just dissolves into the skin. But my most favorite feature of all? It also doubles as a light coverage foundation or tinted moisturizer. It contains light correction powder which brightens the face, covers pores, blemishes and instantly brightens the skin! PLUS, it's super lightweight, provides UVA + UVB protection, it's also waterproof and sweatproof! Now I get why it's Japan's #1 sunblock. SRP: Only Php380 for 40ml! So am I buying this again? Yes, definitely. This is something I would not just use at the beach but also daily to replace BB cream/tinted moisturizer in the city. It's so much cheaper and I love how I don't need to buy 2 separate sunblocks anymore! Congratulations! Havent been there yet so i will be waiting then for your Saipan travel stories. Congratulations! Very nice article, thanks for sharing. Love Biore! They are so light and gives a good coverage too! I really love flying with PAL, preferred ko sya over other airlines because they really take care of the passengers in flight. Congrats to you!!! I don't really use additional face sun block because my face cream already has SPF. :) But this looks like a good product! 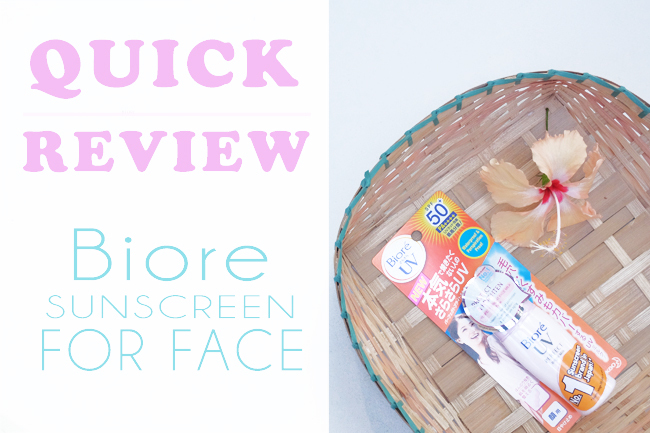 I've recently discovered Biore sunblock also and I'm so loving it! So is it okay to use this unlike the ones for the face moisturizer? Or apply face moisturizer then this one? Because it has SPF50! Eh sobrang inet ngayon so dapat doble proteksyon talaga! wow! makabili nga din nyan! Based on your review, this product is really nice and this something I need to try this summer! WOW! Ang galing naman! How I wish I could've seen that first PAL flight.